Steve Nicol and Alejandro Moreno doubt Cristiano Ronaldo will face Ajax in the UCL quarterfinals if he's confirmed to have a muscular injury. Cristiano Ronaldo limped off after 31 minutes as Portugal could only manage a come-from-behind draw against Serbia. 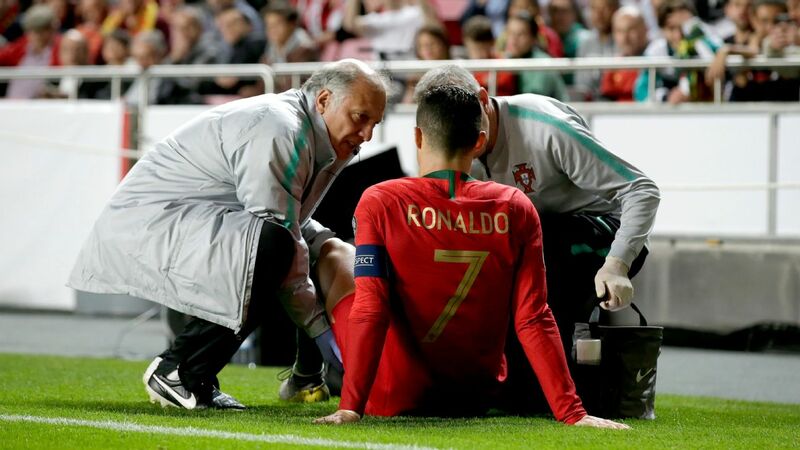 Ronaldo pulled up after sprinting down the touchline in the 31st minute at Estadio da Luz and immediately signaled for a replacement. The 34-year-old sat by the sideline and removed the captain's armband before doctors arrived and treated what appeared to be his right hamstring. Cristiano Ronaldo is back in the Portugal squad after an eight-and-a-half-month absence. Ronaldo has not, at his own request, played for the defending European champions since a 2-1 loss to Uruguay in the last 16 of the World Cup on June 30, 2018. Portugal coach Fernando Santos' side face a Euro 2020 Group B qualifier against Ukraine on March 22 before they play Serbia three days later, with both matches being staged at Lisbon's Estadio da Luz. Tottenham's Mauricio Pochettino says he sees growth in football in the USA, and doesn't rule out one day managing in the MLS. Nani, 32, is in his third stint with Portuguese giants Sporting, scoring eight goals in 25 league and cup appearances this season. beIN Sports USA was the first to report the possibility of Nani heading to North America. The Portugal international has also been on the books of Fenerbahce, Valencia, and Lazio in recent seasons.